Technology Scouting Software. No company has a monopoly on knowledge in its industry. It would require seemingly infinite resources to develop everything internally. Successful innovators excel at sourcing technologies and expertise from external partners. Wellspring technology scouting software empowers our clients throughout the process from search to evaluation to negotiation. Optimize your portfolio of sourced technology and stay aligned with your strategy and competitive environment. Wellspring’s powerful, graphical reports help you see patterns in your data. Select and execute on opportunities using consistent decision criteria. Contacts, obligations, negotiations, interactions, and essential technology scouting information are easily shared and found in one place. Route opportunities among internal and external experts and decision makers to share opportunities and systematically capture their assessments. Documented decisions today avoid duplicated efforts the next time a similar deal arises. Finding data is easy. 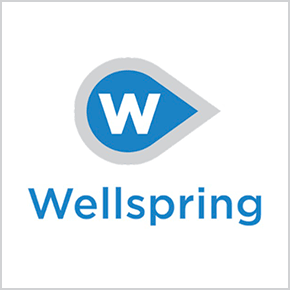 The real power of Wellspring is the ability to import a new Opportunity with a click of a button. You seamlessly import current and relevant information with no data entry. This means you have more time to focus on your deals. Quickly find what you need like never before. All of your opportunity details, including evaluations, decision specifics, and collaboration interactions, are linked together. Access buried information that can give you a competitive advantage. You have total control and flexibility over what you want to see using dashboards and reports. Through a unified system, information is easy to view, sort, and manage, allowing you to make more informed, coordinated, and consistent decisions. The purpose-built application simplifies complicated and cumbersome scouting processes. Easily configure to reflect your business needs so you can drive process, productivity, and consistency the way you want. You can access the system from anywhere on any device.